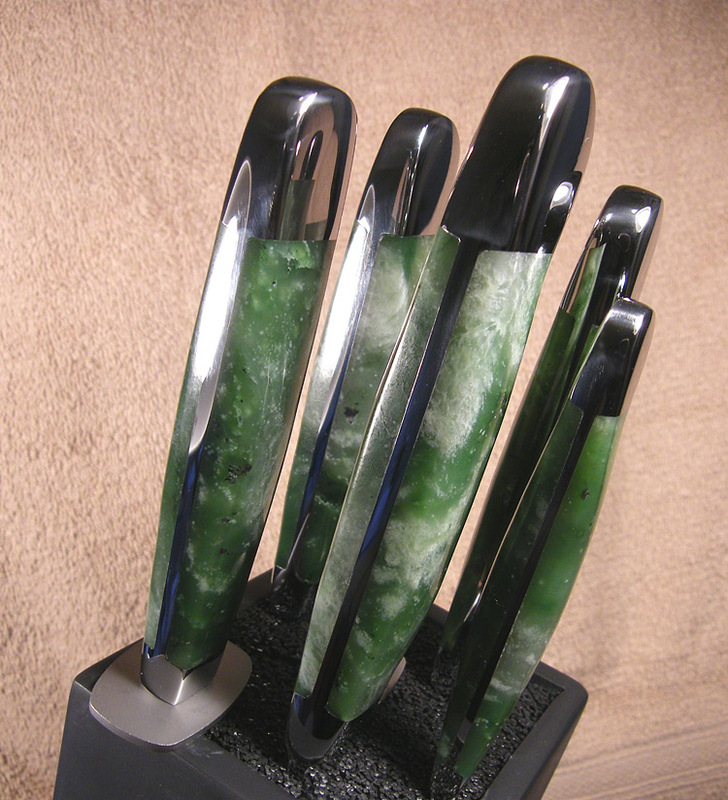 My interest is in stone and Art in Stone. I started collecting and carving stone over 45 years ago when I was a teenager. 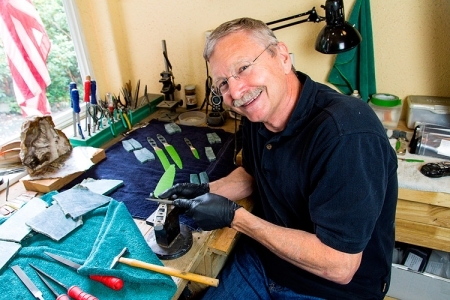 As I got closer to retiring I started to think about what I would like to do after earning 37.5 years of service credit working for the Postal Service. 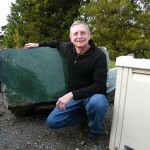 I retired shortly after turning 55 years old in 2007. Before I retired I made a decision to see if I could work with stone and sell my work for enough to at least support my interests. 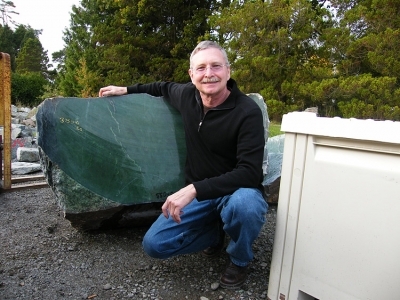 I found hundreds of people make jewelry and hundreds more that buy and sell stone. 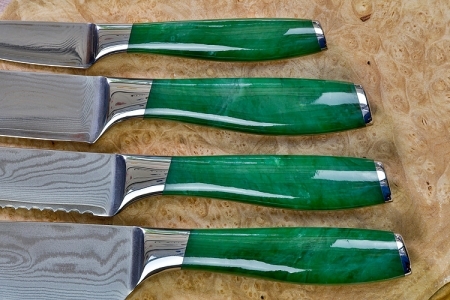 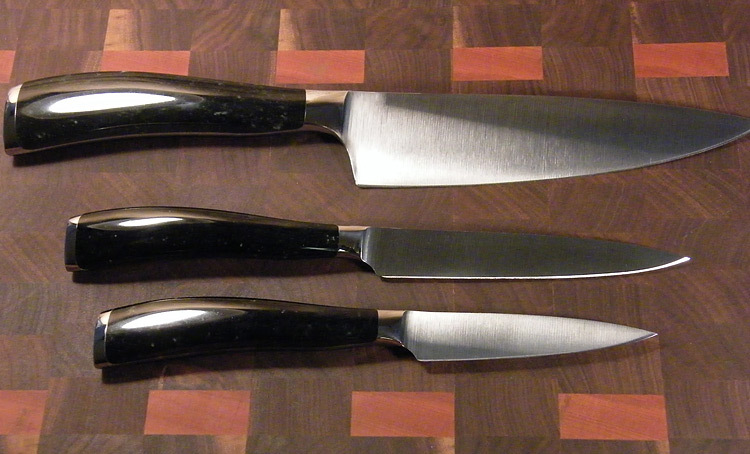 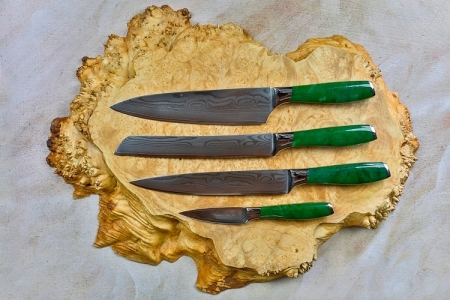 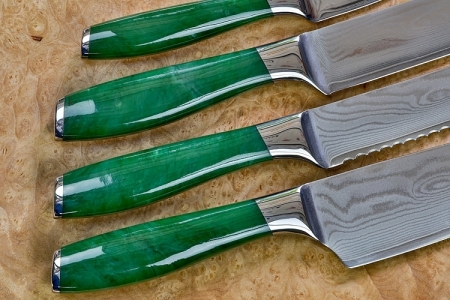 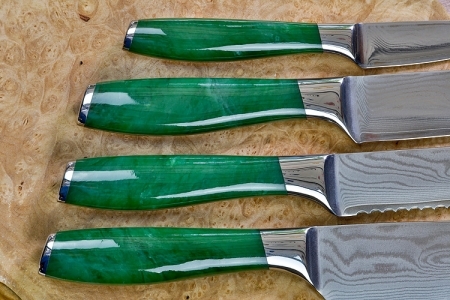 I also found nearly no one made stone handles for knives and most pretty much said it could not be done. 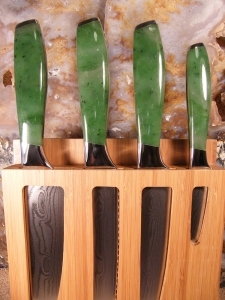 So, I began to again carve stone and started working with knives. There were no people doing this who would help much so I pretty much had to learn on my own. 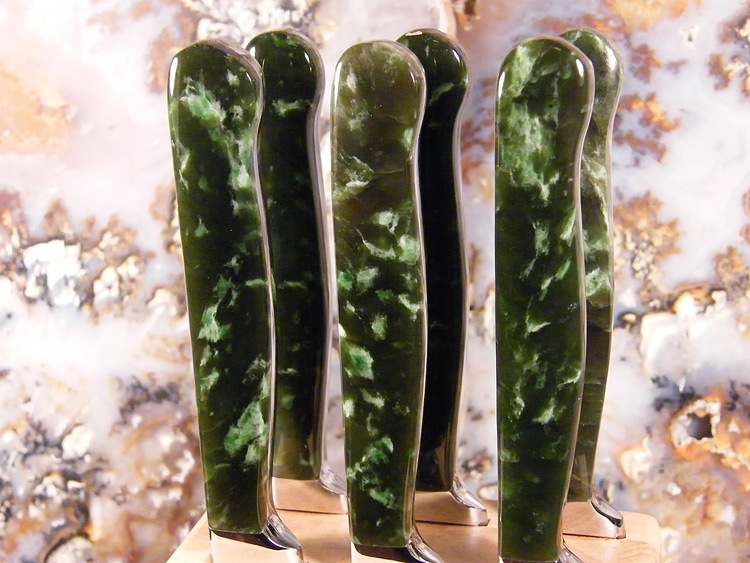 I made stone scaled knives and sold many dozens of them for less than it cost me to make them. 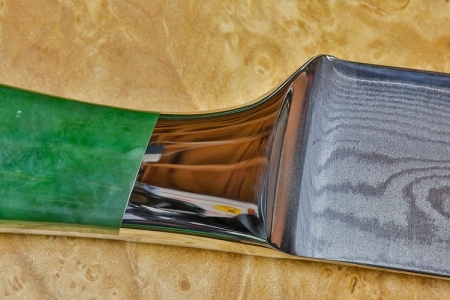 It was the only way to learn and it turns out there is a heck of a lot to learn. 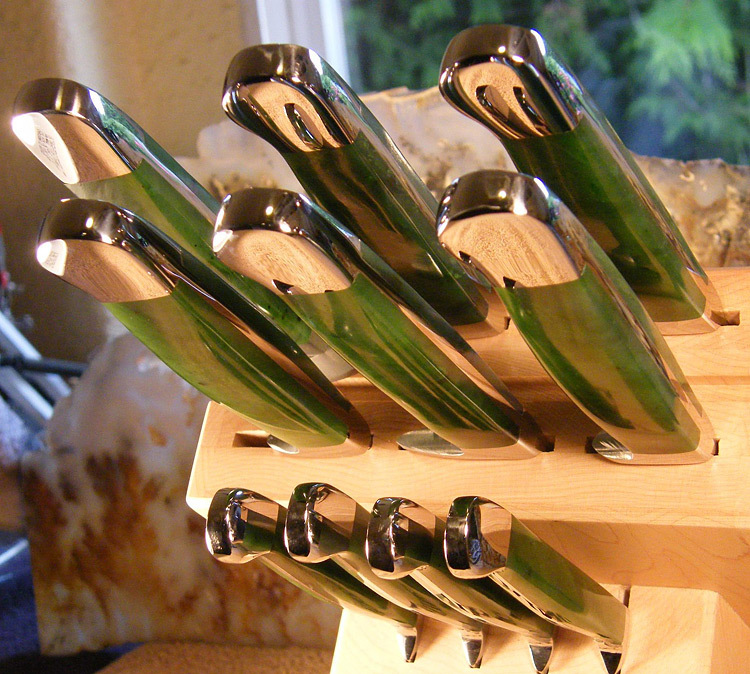 I have been doing this full time for 7 years and after finishing over 2,000 knives, I am still learning. 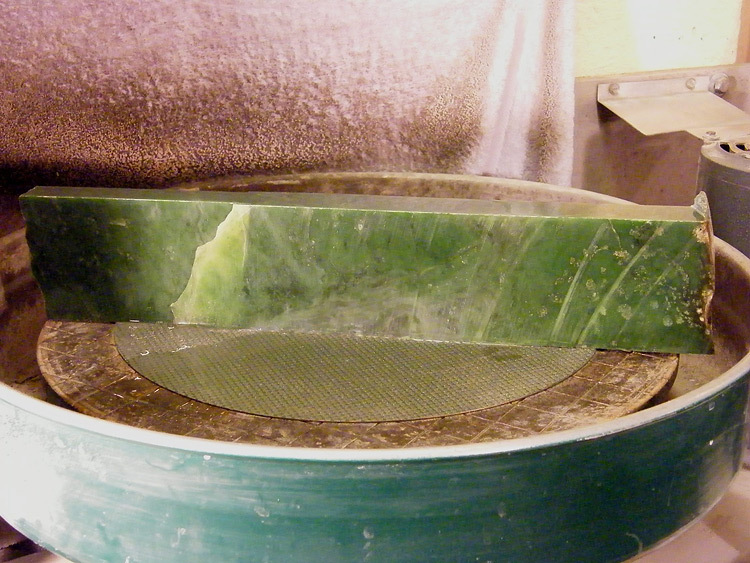 Working with Jade has always fascinated me. It is a very challenging stone to work with as nearly every piece seems to work differently to some degree. 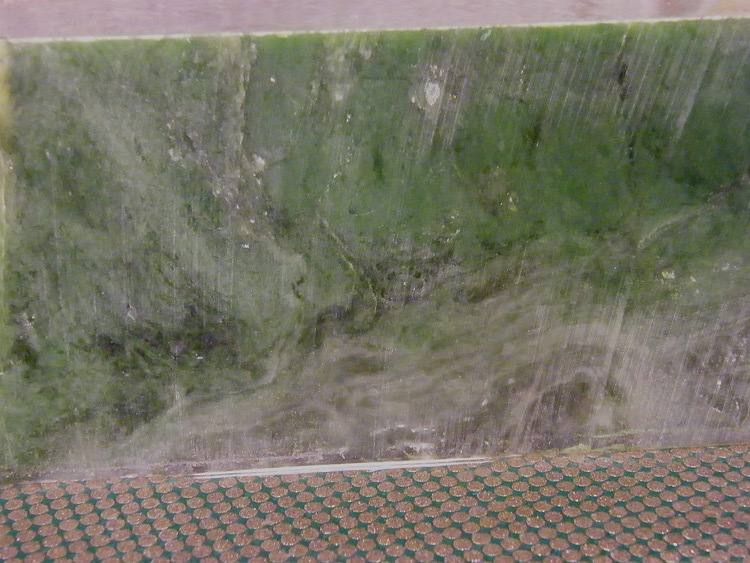 It really takes decades to truly understand how to work this wonderful stone. 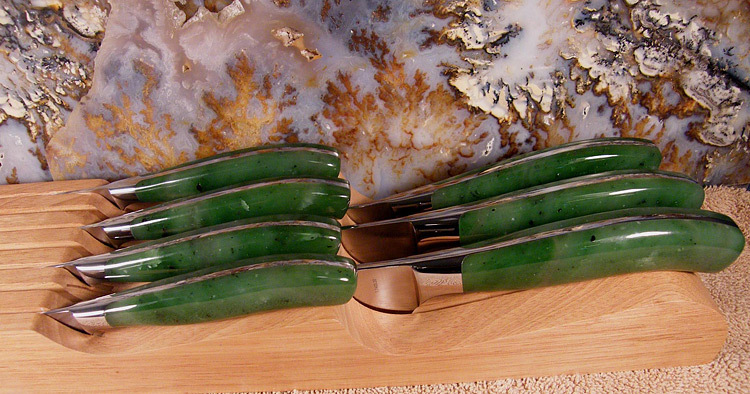 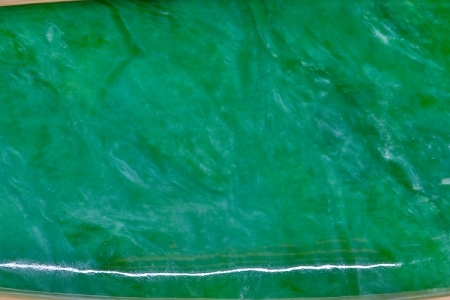 Jade can be difficult to get a good polish on due to the structure and nature of the stone. 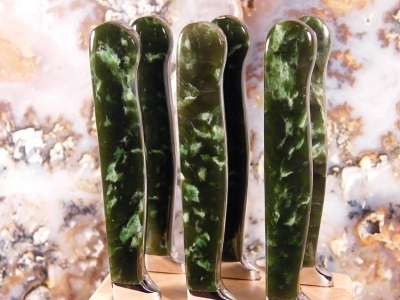 It has a highly textured structure of intertwined mineral fibers that are both tough and they often run in many directions if the Jade has a swirling structure. 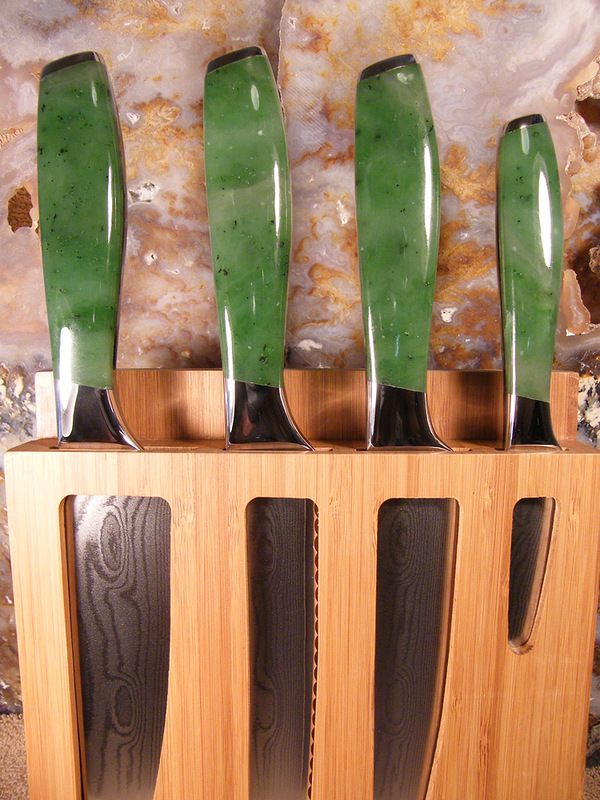 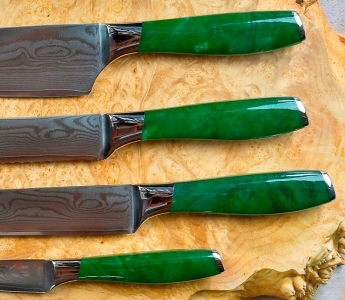 The Jade I chose to use on the knives in this Symposium is a very swirling mix of fine grained Jade that is very challenging to use.